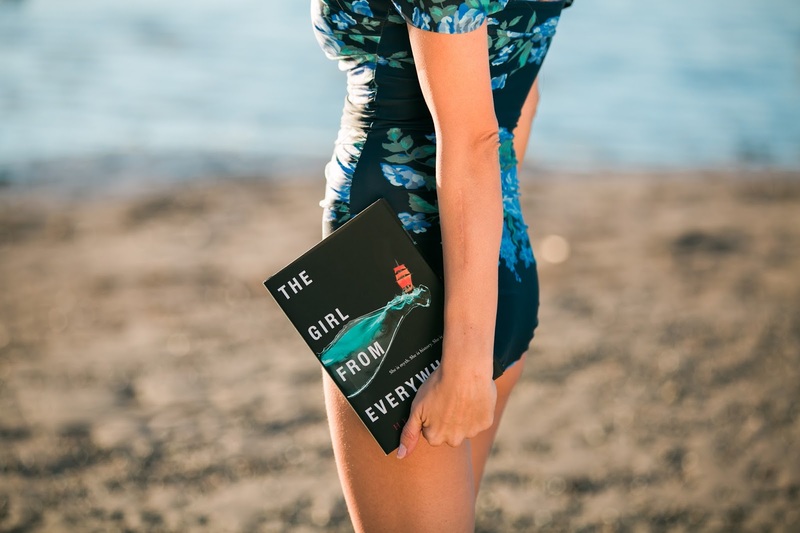 Delicious Reads: SPRING BREAK! What to read? What to wear? SPRING BREAK! What to read? What to wear? Did someone say SPRING BREAK? 1. What new swim suit am I going to get this year? 2. What book should I take to read while relaxing on vacation? So I thought a what a perfect pair. 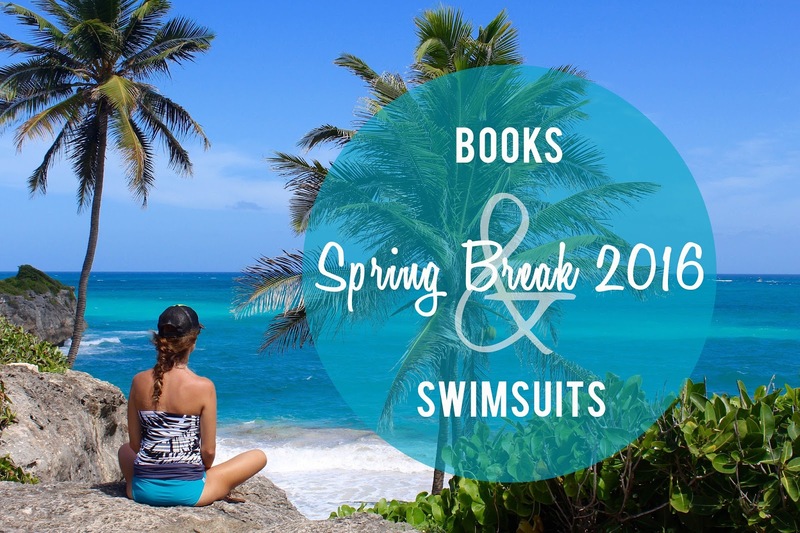 Let's match up some great Spring Break reads with some of the hottest swimsuits out this year. 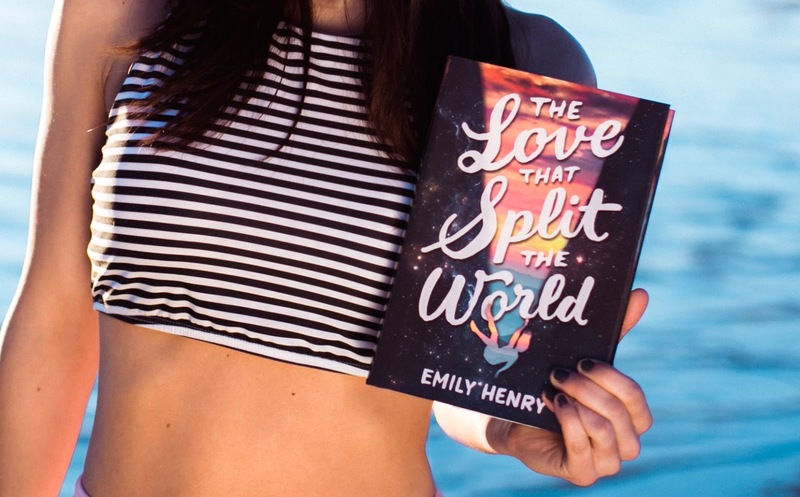 When I think of Spring Break Reads I want something fun, enjoyable, easy, romantic, and adventurous. I can't sit and read a serious book or one that makes me cry. I need it to be light and captivating. 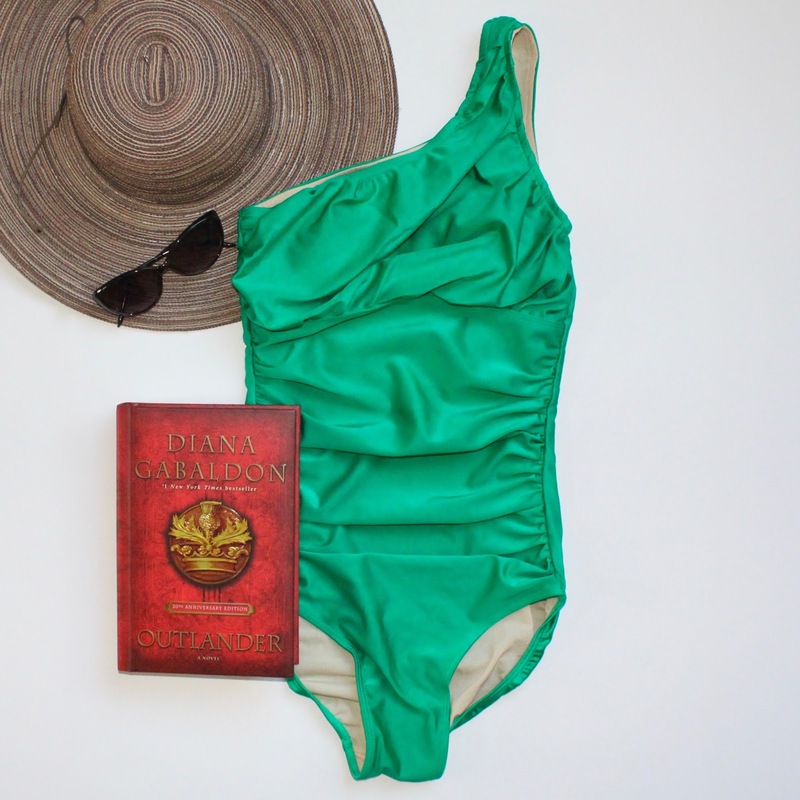 I don't know why but when I think of Sherlock Holmes this swim suit came to mind. This book is a story about Sherlock Holmes great-great-great grand daughter. If you like a mystery this should be a fun one. These two go perfectly together. I mean a book about the wild wild west and the gold rush matched with this fringe and gold swimsuit. If you are looking for a book about adventure and a young adult western then you have found the right book. 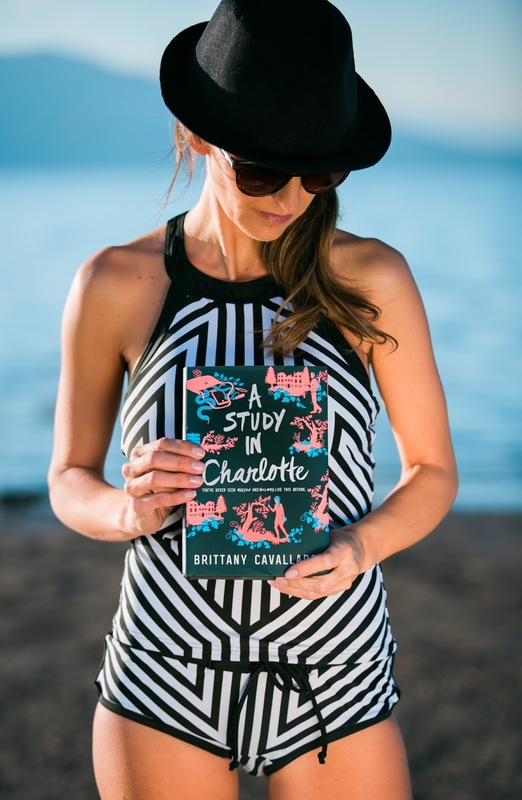 "DELICIOUSREADS" for 20% off your entire purchase!! 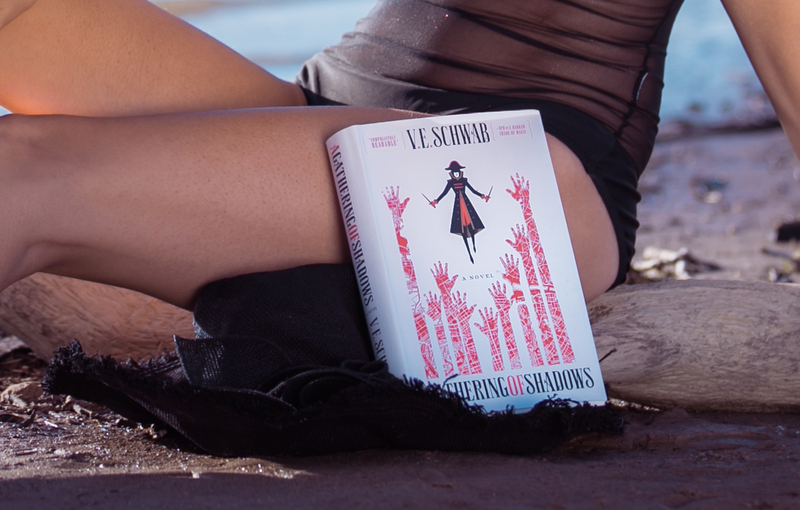 A Darker Shade of Magic and A Gathering of Shadows by VE Schwab / This Swimsuit is not on their website anymore but they do have similar swim suits with Black Mesh I love the mesh look for swimsuits this year. 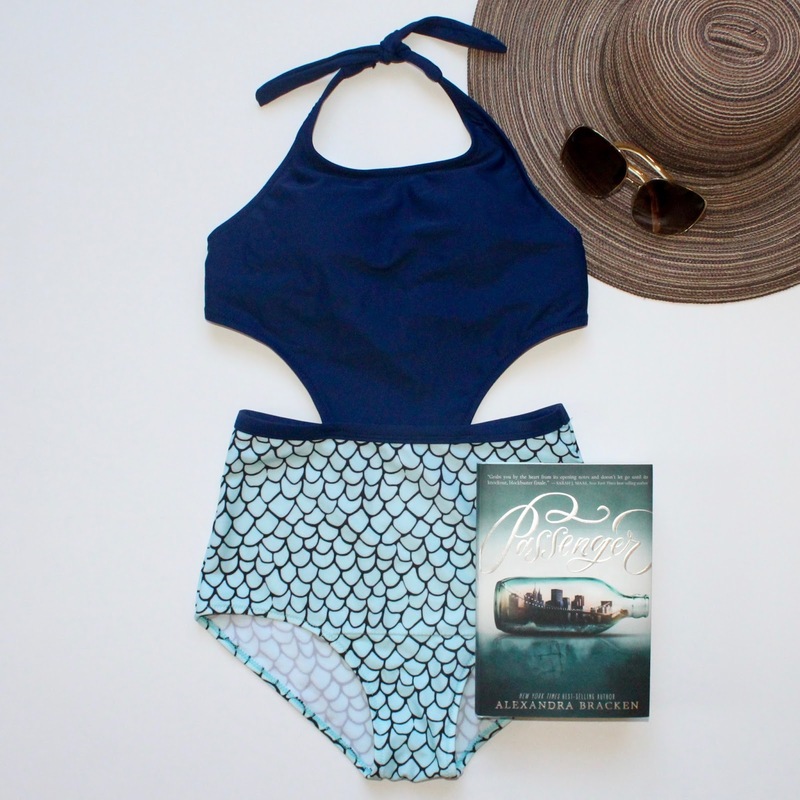 I love this swim suit and book series together because in A Gathering of Shadows they venture into Black London. So what a perfect swim suit for that. This book is a young adult fantasy fiction with mythology. Nix and and her father trying to get to Hawaii in 1869 to find her mother. So I thought it would be fitting to pair it with this floral print to represent Hawaii and I adore this suit with the straps you can wear up or off the shoulder. When I think of Scotland I think of green. This Outlander edition is the 20th Anniversary Collectors Edition and it is beautiful. This book takes place in Scotland so a perfect match up. 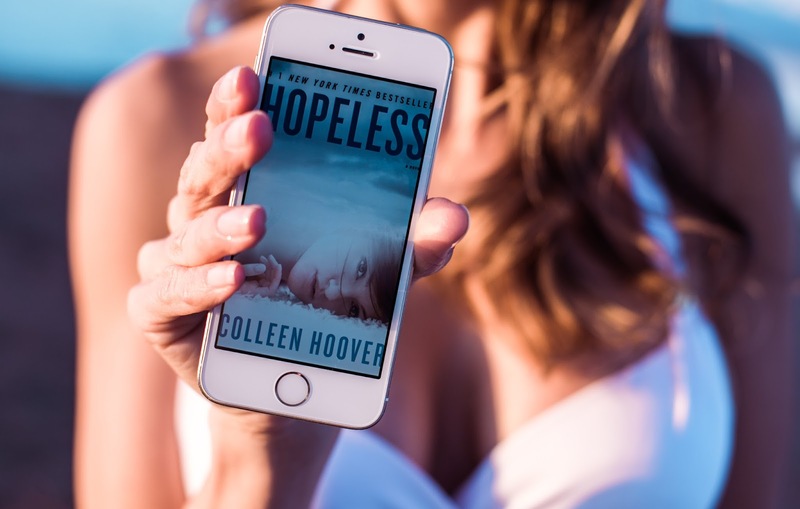 If you haven't read any of Colleen Hoover's books then you need to start right now. Start with this series and then you might devour the rest of her books. If you like romance than you will love her books. One of my favorite things to do while relaxing on a beach is listening to an audiobook on my phone. Colleen Hoover has some great audiobooks. I am in love with this series. 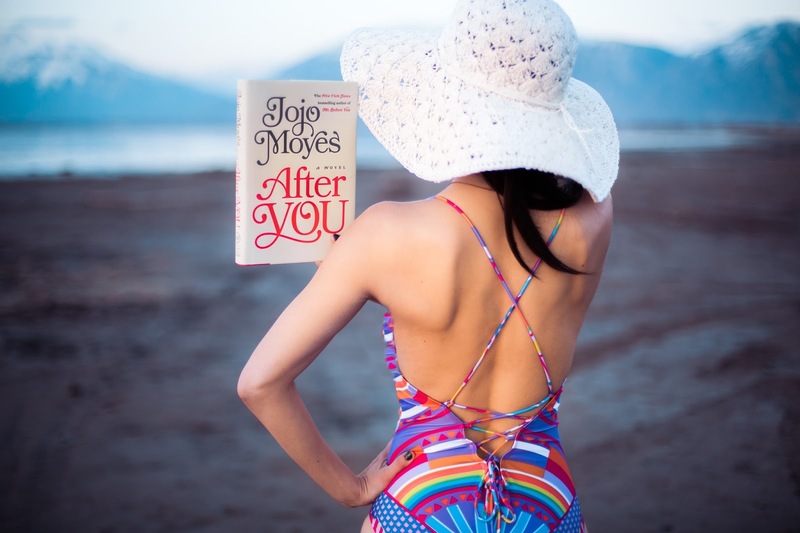 When I read Me Before You I was immediately a huge fan of Jojo Moyes and I went out and read the rest of her books. Me Before You hits the big screen in a couple of months so if you haven't read that one yet you need to. When you read After You then by the end of the book you will understand why I picked this suit to represent Louisa. (You can find a similar one called Brynlee at Coral Reef Swim and it won't take ten years to get to you.) Be aware that if you order from this site it takes a long time to get to you because it's coming from China. Passenger is about a journey over the sea and so I thought this swim suit with it's navy and fish scale looked perfect together. Sarah J Maas (one of my favorite authors) said this about Passenger, "Grabs you by the heart from its opening notes and doesn't let go until its knockout, blockbuster finale." Wow that alone makes me want to read this book. I fell in love with her swimsuits and clothes when I found her on Instagram. Tricia the owner and designer makes all of them herself. She is one busy talented lady. So if you are looking for a well made unique swimsuit you can find it here. Both swimsuits from the first photo and the last photo are from Bellapia Designs. 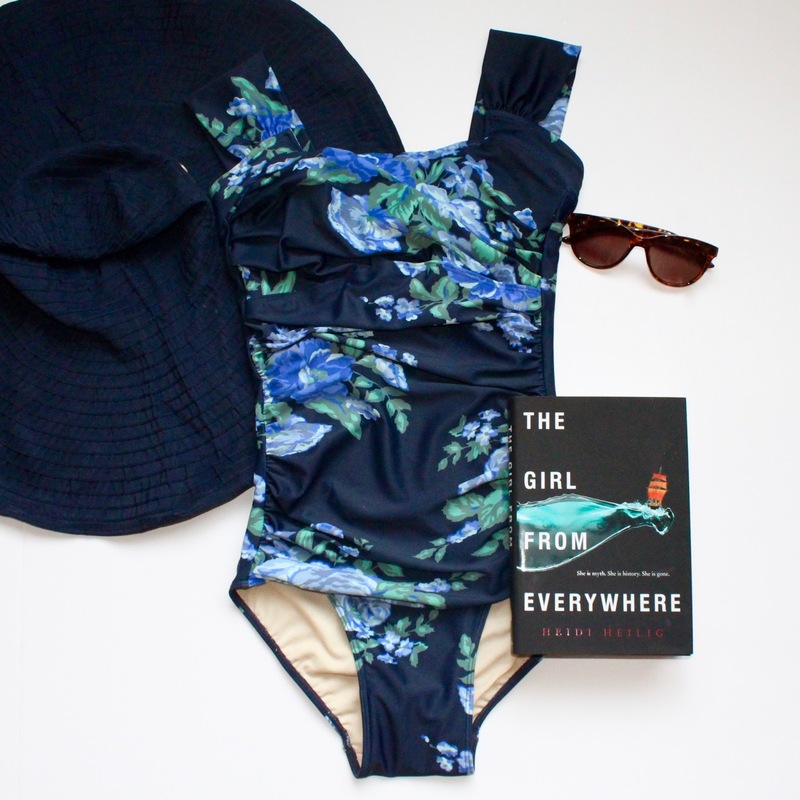 I am so excited to get in one of these swimsuits and settle in for a beach read. What a fun post!!! Love it! Thanks for such great ideas! Now I need to go shopping!! Truly an awesome post.It is very impressive. I also purchase swimsuit with cheapest discount by using Cupshe Swimsuit coupons it is applicative for Swimsuit and fashion accessories. use cupshe discount coupons for shopping and save money.